Fortnite Lawsuits: Farce or Assertion of Creative Control? While the majority of Epic Games’ products have been well-received, the same can’t be said for Fortnite as the game has been as divisive as it’s been popular. Being divisive isn’t the all that it’s been however, as controversy has followed it ever since it was first released. Initially it was the PUBG Corporation suing over alleged copyright infringements, which was eventually settled. However, it’s now the games signature emotes that have gotten Fortnite into trouble. For those who may have missed the controversy, let’s take a look at where Epic Games is now, and how they got to that position. For anyone who’s not already up to date, Fortnite’s emotes boil down to dance moves that players can use during the game; while some are free with the game, others have to be purchased in order to be used. These dance moves are the source of much of the controversy currently surrounding the game. My dentist told me to floss but my teeth don’t feel any better. Source. Although there’s been a lot of legal jargon tossed around over the past few months, the case against Epic Games is pretty easy to sum up; in short, the creators of a number of dances are claiming copyright over a few of these emotes. Their cases rest on two principals; a) Epic Games directly recreated the dances in-game, or b), they were directly influenced by said dances in order to create the emotes. The first artist to file suit with the game studio was 2 Milly, who claims that the studio is using a dance he created for the song Milly Rock without permission or compensation. The second is actor Alfonso Ribeiro, best known for portraying Carlton Banks in The Fresh Prince Of Bel-Air. Mr. Ribeiro also claims that Epic Games are using his dance – famously called the Carlton Dance – without permission or compensation. Listen: Juvenalia Episode 52: The Fresh Prince of Bel-Air. Lastly is Russell Horning, who’s also known as The Backpack Kid. Mr. Horning is the latest to file suit, and claims that Epic Games has been using his signature dance – The Floss – without permission or compensation. Each of the three lawsuits are demanding that the dances be removed from the game, as well as damages. It also seems that each of the filers would be open to letting Epic Games use their dance moves in Fortnite pending some form of licensing agreement, although exactly what kind of agreement this might be is unknown. Having said that, the trio aren’t the only ones who have pointed out that the studio might be illegally using dance moves. Last July, Chance the Rapper tweeted that the studios should compensate the creators of these dances. BlocBoy JB also said that he’d like to receive royalties from anyone using his signature dance from the song Shoot; Fortnite fans might recall it as the Hype emote. While it may seem like these lawsuits are specifically between Epic Games and the dances creators, it could end up being a whole lot more than that. It should also be mentioned that America’s Copyright Act of 1974 is pretty clear on the types of dance moves that can and can’t be copyrighted; after all, parts of some moves may be integral to everyday life and thus can’t be copyrighted. But, each of the lawsuits claim that it’s not as simple as that in this case. In fact, each say that Epic Games engaged in a practice of “copying and coding dances and movements directly,” which amounts to copyright infringement. However, it will be up to a judge to decide whether or not that’s true. Either way, it may end up having a load of unforeseen side-effects. After all, this is somewhat of a legal no man’s land as nothing similar to these cases have ever been seen before. Suggested Reading: Fortnite: The Game That Will Be King. It’s this no man’s land that makes the lawsuits so significant; a ruling in either direction would set precedent. A win for Epic Games could mean that developers could copy as many viral dances – or other forms of art – and change only minor aspects so that they’re just within the limits of copyright. 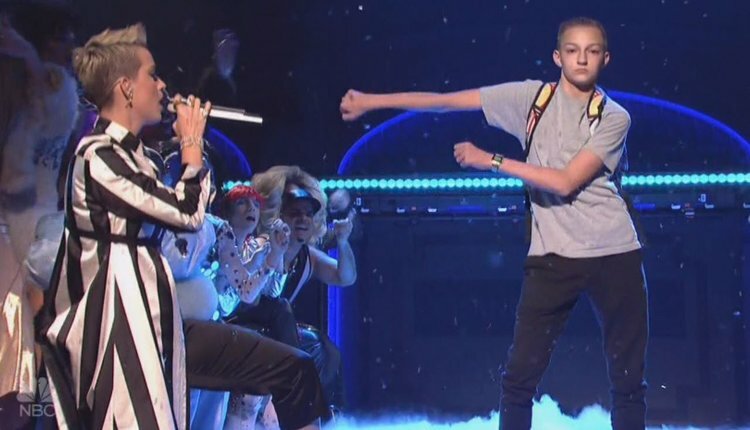 A loss for Fortnite, however, could introduce a whole new playing field when it comes to claiming ownership of a dance move. No matter which way the judge goes when making a decision on the cases, it’ll certainly have a major impact on copyright in the long-term, for good or for ill.
As we’ve already mentioned above, there’s a decent chance that if Fortnite loses then they’ll have to remove the three emotes in question and pay out what could be significant damages. There’s also the fact that it could leave open the doors for anyone else who Epic Games took inspiration from. However, it’s what lies beyond that that would be interesting. Epic Games has defended itself by saying that the virality of the dances essentially made them each a meme and that they’ve reused said dances in the same way that someone may take a screenshot from a film or television show and made a new work out of them. At least, that seems to be the crux of their case, which is why the end of the lawsuits is something to watch out for. Should the trio succeed in their lawsuit then this won’t open up the floodgates for just Epic Games and Fortnite, but any kind of content creator. Should they lose, it seems that it will set in stone many of the copyright terms that are still in a legal grey area. For those who create their works from top-to-bottom themselves, it can be a massive benefit. But for those who use inspiration from other sources, it could tighten regulation a whole lot more. Luke Luby is a journalist and digital marketing specialist based in Spain. He's an RPG and Strategy game fanatic.